Dr. Daniel E. Sheer is nationally recognized as a legendary academic pioneer. His broad vision was instrumental in nurturing the foundational ideas that underlie neuroscience and neuropsychology in the 1950s. As mastermind of neuroscience and neuropsychology at the University of Houston, Dr. Sheer was director of the following UH programs: Clinical and Experimental Psychology, Physiological Psychology (1960s), Biopsychology (1970s), and founder of the Neuropsychology program (1973). An esteemed scientist, Dr. Sheer integrated understanding across many disciplines, including Neuropsychology, Clinical and Consulting Psychology. Dr. Sheer was an engaging teacher and cherished mentor who touched many lives and always encouraged his students to pursue and explore their own interests. by Barbara P. Uzzell, Ph.D. This website is devoted to Daniel E Sheer, PhD, Professor of Psychology at the University of Houston in Houston, Texas from 1956 until his retirement in 1988 when he became Professor Emeritus. I, like many others, were one of his students who knew him and appreciated his complex nature. As a result, I have been asked to provide a brief, not exhaustive introduction about him on this website devoted to him, and request his former students like myself contribute their own testimonials on this website, some of which may be later selected for publication in a book in his honor. Just to get us started the following are some factual reminders of his life and accomplishments to be followed by testimonials of his former students, family, colleagues, friends and those who knew him. Dr. Sheer started his life in Baltimore, Maryland where he grew up and completed educational requirements for a B.S. at John Hopkins in 1943 before moving to Ann Arbor to complete the PhD at the University of Michigan. However it was possible at that time, he came to Texas in 1950 and joined the Psychology faculty of the University of Houston as an Assistant Professor of Psychology. After receiving a PhD he was promoted to Associate Professor of Psychology in 1951 and advanced to full Professor of Psychology in 1956. Notably he remained at the University of Houston for his entire professional career. A decade later, in 1966, he had completed the requirements and was granted Diplomate status in Clinical Psychology. As a result he served as a clinical consultant for a business one day weekly for a period of time during his academic career. 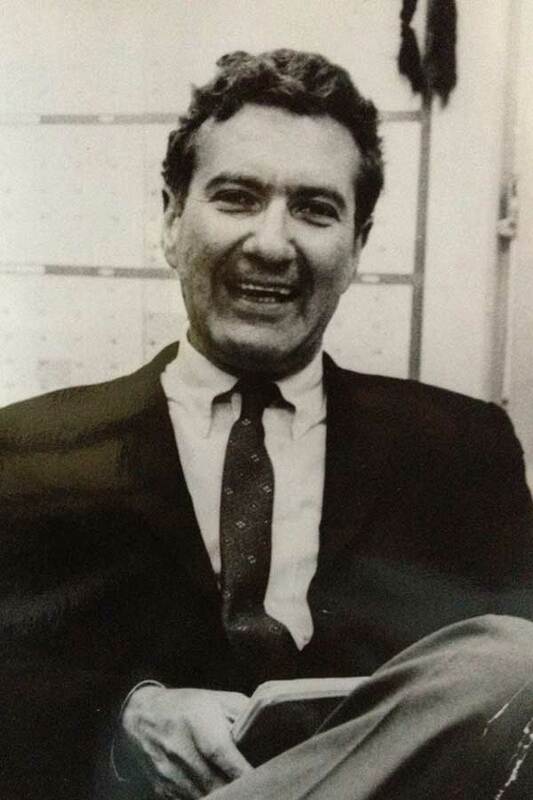 He remained interested in Research, both in Physiological Psychology and Clinical Psychology and because of these interests he was the ideal person to develop and pioneer a Doctoral Program initially called Clinical/ Experimental and later called Clinical Neuropsychology at the University of Houston that has remained with the support of other faculty members to achieve national recognition. Research work of Dr. Sheer focused on behavior in relation to brain activity measured electro physiologically. It may be hard to realize in this day and age with advancing and ever-changing Neuroimaging Techniques, but at the time of his research, EEG was the cutting edge, a major electrophysiological technique for understanding brain functioning. His research findings lead him to believe 40 Hz EEG measurements played a major role in understanding of brain functioning. He edited at the time an important book containing foremost writings of most major electrophysiological contributors. The book was entitled: “Electrical Stimulation of the Brain,” and published for the Hogg Foundation of Mental Health by the University of Texas Press in 1961. Dr. Sheer also served as President of the Southwestern Psychological Association in 1968-69. Dr. Sheer was able to apply for and receive research funding throughout his career as faculty member in the Department of Psychology at the University of Houston. We students assisted him in carrying out the research. He was the original director of the Clinical Neuropsychology Program at the University of Houston in 1973 until his retirement in 1988 when he was appointed Professor Emeritus at the University of Houston. To his credit with all his activities he was able to publish 30 original articles, 15 book chapters, 3 books and 1 book in progress at the time of his death from sarcoma in 1991.
by William F. Landers, Ph.D. I would like to take this opportunity to pay tribute to and express my gratitude to the late Dr. Daniel Sheer. I first learned of Dr. Sheer and his research from the late Dr. Richard Benton, when he was a graduate student and teaching assistant in the undergraduate course, "Experimental Psychology." After I told Richard that I was very interested in Dr. Sheer's EEG research and electrical stimulation of the brain, Richard took me around to see Dr. Sheer's lab and many of the research projects being conducted in his lab. Sometime later Richard took me to Dr. Sheer's office to meet him and discuss graduate school, specifically, the Experimental Clinical Training program. Dr. Sheer, seated behind his desk, piled high with journals and student papers, was smoking a cigar and reading something, probably a journal article. When he saw us at the door, he put his cigar down, and with an infectious smile, invited me to sit down and talk about my graduate school plans. After 15 or 20 minutes of conversation, Dr. Sheer invited me to submit to him my GRE scores, Miller scores and GPA in Psychology to be considered for one of the Experimental Clinical Training stipends he supervised. Needless to say, I was awarded one of his training stipends which supported me through getting my MA and PhD in Psychology from the University of Houston. Dr. Daniel Sheer was a tall, dark, athletically built man who always seemed to be in a hurry, but if he saw you, would pause and say, "Hi, Buddy." I will never forget how impressed I was with his vast knowledge when he taught the Physiological Psychology sections of our pro-seminar. He would lecture and write notes and diagrams on the board non-stop for over an hour without looking at his notes or texts, pausing only to take a drag on his cigar. In several other courses and seminars I took with him, I continued to be amazed by his intellect and skills. One of the funniest incidents that I ever saw with Dr. Sheer happened in one of his advanced seminars. He was pacing back and forth in the front of the classroom, lecturing and smoking his cigar at the same time. When he had smoked the cigar about as far down as he could hold it, he flipped it in the trash can at the front of the room and continued lecturing. After a while smoke began to come out of the trash can because the cigar had ignited the paper in the trash can. Dr. Sheer saw the smoldering trash can and stomped his foot in it to put it out. Because he had large feet his shoe became stuck in the smoldering trash can. With his shoe still stuck in the trash can, spewing explectives, he clanged out of the classroom to find a fire extinguisher. After about 5 minutes, Dr. Sheer quickly strode back into the classroom and picked up his lecture right where he left off without a word about the fire in the trash can, as if nothing had happened. Some students thought Dr. Sheer epitomized the "Absent-minded Professor," because he would seemingly forget what some student was doing or where he left his lecture notes. However, I firmly believed that he played this role to see how a student or students would react. When he attended our graduate student parties, our wives would tell us what a great dancer he was and how cool and charming he was. On a personal level, Dr. Daniel Sheer was a mentor, counselor and friend to me. Shortly after I had completed my MA thesis research, my first born son died after only 20 hours of life. I was very depressed and told Dr. Sheer that I didn't know how I was going to be able to complete my thesis and graduate school. He listened to me very empathically and used his clinical skills to help me deal with my grief and get my thesis writing back on track. Although I wrote my dissertation in the area of Developmental Psychology, Dr. Sheer continued to be supportive and friendly to me. After I had successfully defended my dissertation before my committee, Dr. Sheer came up to me and said, "Congratulations, Bill. Please call me 'Dan' from now on." I am convinced that Dr. Sheer's research and publications as well as the students he trained and supported are his legacy to the University of Houston and mankind in general. An example of Dr. Sheer’s sense of humor occurred one day during a neuroanatomy class when we students were waiting in the classroom for him to appear. As he stepped through the threshold of the door, he lightly slapped his forehead and said, “Oh, I forgot my brain.” and turned around and left. Needless to say the class roared with laughter, and so did he when he returned with an anatomical plastic model of the brain. We students enjoyed his infectious laughter. Dr. Sheer seemed to have a way of interacting with his students that was not always direct, but rather indirect and subtle. Dr. Sheer appeared to have a quick mind as he appeared to focus on one issue at a time, but this was not the case. He usually focused on multiple issues at a time and seemed to be forgetful requiring reminders from each of his students about their progress in each of their personal educational program. As we matured as students we were not so sure this forgetfulness was true, but rather this was Dr. Sheer’s way of finding out if we as students knew what we were doing, knew the progress we had made and knew what our goals were. His subtle strategy shaped our minds professionally to always have goals and know how we were going to achieve them. I am grateful for his subtle professional training. As far as I know Dr. Sheer called all his students (male & female) “Buddy.” We students wondered why? Although we never knew why, we students decided he did this because he could not remember our names, or else he did not make a mistake by calling one student by another student’s name. As I matured professionally I came to feel this may have been his way to make his students feel we were being treated equally the same by him and appreciated his effort. To his students Dr. Sheer’s behavior seemed complex and often not initially understandable by his students. On one occasion Dr. Sheer stopped his lecture in class, got down on his knees and started feeling the floor with his hands. We students could not understand his behavior. Thoughts ran through our heads. Had he lost his mind? Why had he stopped in the middle of his lecture to get down on the floor? Why this behavior? Finally while he was still on the floor engaged in touching the floor with his hands he finally said, “I lost a contact.” We students quickly learned to take immediate action when required to achieve your goal or purpose even if unexpected behaviors were required. In essence these examples of training have assisted me in my professional development during student days and beyond. Thanks to Dr. Sheer! I am the middle child of Dan Sheer’s three daughters. When Lolin Wang‐Bennett at the University of Houston contacted me about plans for a dedication to my father at the new Health and Biomedical Sciences Building on campus, I suggested we build a webpage to honor him. As we planned the website and discussed what to include, Lolin shared with me marvelous stories about my dad she was hearing from colleagues and students. We decided to include these heartfelt testimonials. Although, I only knew about my dad’s work life from a distance, I want to share here a personal account of him as a father. I also want my two sons (now 23 and 19) to know more about their grandfather who died when my older son was a mere two years old. Dad and I were close and we engaged in conversations that could go on for hours. He was a good listener; something I appreciate now that I’ve had children of my own. He also patiently taught me to play chess during my elementary school years. I was never a great chess player, and I don’t recall him ever “letting” me win a competition, but I believe the chess skills he taught me were eventually helpful to him. During our last chess games together, weeks before he died, my father was so focused on winning that he was able to suspend his sadness about getting cancer for a short time. A funny man with a great sense of humor, dad was a real character! He loved to laugh, tell jokes, and was most often the one laughing the loudest at his own amusing stories. He adored people, parties, music, dancing, and especially, food. There are too many entertaining food stories to recall them all here, but you can take my word for it: he really enjoyed eating! After I left for college, dad who was never a cook started competing in Texas‐style, chili‐making contests. I was surprised to learn about his new hobby, and don’t know whether he actually won any prizes for his efforts, but it sure would have been a good time to witness his culinary exploits firsthand. Our family, like many, had its’ share of struggles. My parents divorced when I was in middle school and dad moved into an apartment. It makes me sad to think about him in that apartment by himself after living in our big house with swimming pool and expansive backyard. But like clock work, every Sunday evening at 5:00 dad would drive down the long driveway to pick me up for dinner and one of our lively discussions. We never deviated from where we ate; we went to the same Mexican food restaurant, El Chico, week after week. Dad ordered his favorite crispy tacos and always asked the waiter, “Can you bring an extra bowl of hot salsa.” When the fried corn tortillas arrived piled high with spicy meat, tangy cheese and shredded lettuce, he immediately poured both bowls of hot sauce (the one that came with the order and the extra) on his plateful of tacos, and with wide eyes dug in. Pure bliss is the best way to describe dad’s experience of that meal! My father was not particularly athletic (sorry dad! ), I never saw him swim or ride a bike, but he did play a weekly, determined game of tennis. He was also a proficient ping‐pong player (his daughters and grandsons share his love of ping‐pong). After a sweaty, competitive game of tennis, dad liked to wear his tennis outfit for the rest of the day. I imagine he felt proud of his attractive sporty attire, which consisted of polo‐style collared shirt, Bermuda‐length shorts, lace‐up shoes, and zip‐front jacket—all pure white. Growing up, I accompanied him to the tennis courts most weekends. Although I played some tennis, what I remember most was running up and down the huge multi‐tiered bleachers where observers watched tennis matches. When I was tired and thirsty from the hot sun, I’d find the court where dad was playing and ask for money to buy a cool drink and ice cream at the pro shop. One of the things you could always count on dad for was having a pocket full of change. Whether in workday trousers or tennis whites his pockets were bulging—and when he wasn’t using his hands for something else, he routinely had one of them in his pocket fiddling with those coins. Now I’m not a psychologist like my father, but maybe those silver disks reminded him how far he’d come in his life as a kid of immigrant parents who counted pennies, and was the first in his family to go to college, and become a world class scientist. Maybe that’s why he liked those heavy pockets. Or maybe he was just generous and wanted to be ready to buy someone a cool drink. Champion of others is another character trait that describes my father. One story I enjoy telling is about watching the 1960s television series, “Perry Mason” with dad. He loved Raymond Burr in the title role of defense attorney proving “in the nick of time” his client’s innocence to coincide with the end of each one‐hour episode. At that point, dad would wildly and loudly cheer and clap his hands as Perry’s interrogations revealed the true criminal. To this day I relish watching courtroom dramas on TV and in movies. The suspense and excitement I feel when justice prevails reminds me of dad rooting for Perry Mason. In my conversations with Lolin and from reading testimonials written about my father, I learned he was undoubtedly a champion of his students both personally and professionally. Having spent his whole professional career at the UH, his passion for teaching and mentoring touched lives and launched careers. During a visit to Houston over twenty years ago to attend a memorial service at the one‐year anniversary of his death, I heard unexpected kind words about my father from a stranger. My husband and I were taking a walk in a residential neighborhood near the Museum of Fine Arts and Rice University. We stopped to say hello to an older woman watering her garden. When she asked where we were visiting from and we told her about attending dad’s memorial service, the following words sprang from her mouth: “Well, everybody knows Dan Sheer!” She told us her husband, a psychologist, knew Dan Sheer and that Houston’s academic community had the utmost respect and admiration for my father. What a coincidence and nice thing for a daughter to hear. Lastly, dad was sentimental. It’s probably not a characteristic usually associated with research professors or academics. But my father was deeply emotional and he felt confident enough to expose that positive vulnerability with me. I hold dear a profound letter of his love that brought me to tears, one he wrote to me years ago after my parents divorce. And I cherish his tears of happiness, tears he couldn’t hold back, when I asked to move into his new house with him when I was a 15‐year‐old teenager. My dad died way too young, he was only 69 years old, but my memories of our time together comfort me and I am grateful to have known the man who was my father. 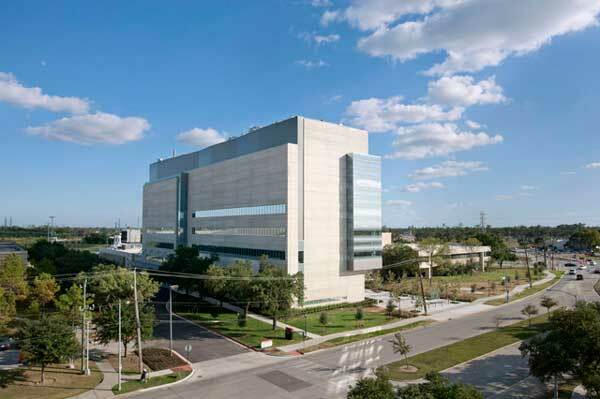 The University of Houston is raising funds for a six-story Health and Biomedical Science Building to commemorate programs in neuroscience, neuropsychology and human genetics and honor pioneering faculty members and students who have contributed to these programs and their success since graduation. The Health and Biomedical Science Building is nearly complete, except for the 4th floor, which will honor Dr. Sheer’s legacy and be a permanent home for the Neuroscience and Neuropsychology programs. This new research facility will expand the work, vision and passion of Dr. Sheer through interdisciplinary collaborations in biomedical research fields. To read about future research goals of the Health and Biomedical Science Building download brochure here. Donate Online Note: On pull down menu "Please designate my gift to" select "Psychology." Specify your gift further, “In Honor of Daniel E. Sheer” on page in the special instructions box provided. Tribute to Daniel Sheer by William F. Landers, Ph.D.
Professional Career of Dr. Daniel E. Sheer by Barbara P. Uzzell, Ph.D.
Testimonial to Dr. Daniel E. Sheer by Barbara P. Uzzell, Ph.D.